Notre Dame Preparatory School capped a perfect 18-0 season in field hockey Nov. 5 with a 3-1 victory over Garrison Forest in the Interscholastic Athletic Association of Maryland (IAAM) A Conference championship game at Stevenson University. The Blazers fell behind with 12 minutes left in the first half, but roared back with goals from juniors Nathalie Friedman and Olivia Kenney, and sophomore Liza Regan. The outcome gave NDP its first IAAM championship in field hockey and erased the sting of a last-second loss to McDonogh in the 2016 championship game, when the Blazers had 12 seniors. The weekend also produced championships for the girls’ soccer team from St. Mary’s in Annapolis and the boys’ soccer team from Our Lady of Mount Carmel in Essex. The Saints won the IAAM B Conference title Nov. 4 at Anne Arundel Community College (AACC), with a 3-0 victory over local rival Severn. St. Mary’s got goals from Lindsey Grady, Amanda Roy and Chloe Byrne. The Saints, who are coached by Sarah Molina, had started the season 0-4-1. Our Lady of Mount Carmel won the Maryland Interscholastic Athletic Association (MIAA) C Conference crown, 1-0 over Glenelg Country School at AACC Nov. 5, when junior Jaime Reyes scored with 1 minute, 3 seconds remaining in the first overtime. 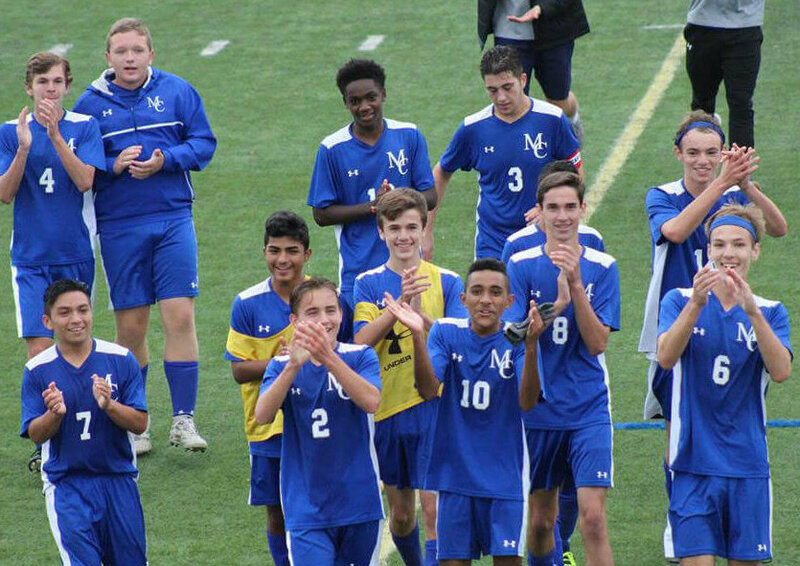 It was the first soccer title since 2000 for the Cougars, who are coached by Mark Concordia. 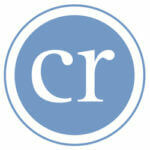 Teams from Catholic high schools, meanwhile, suffered heartbreaking losses in A Conference soccer finals. Mount St. Joseph topped Archbishop Curley on the road in an MIAA semifinal that went to penalty kicks, but coach Mike St. Martin’s team was unable to overcome top-seeded McDonogh Nov. 5 at AACC, where the Gaels went down, 2-0. The Gaels finished 15-6-1 with a lineup anchored by Brett St. Martin, the coach’s son, who will move on to NCAA power University of Maryland. Mercy used an even bigger semifinal upset in the IAAM, where it knocked off top-seeded Archbishop Spalding, but the Magic couldn’t replicate that act in the Nov. 5 championship game at Stevenson, where McDonogh got its only goal with 41 seconds remaining for a 1-0 win. 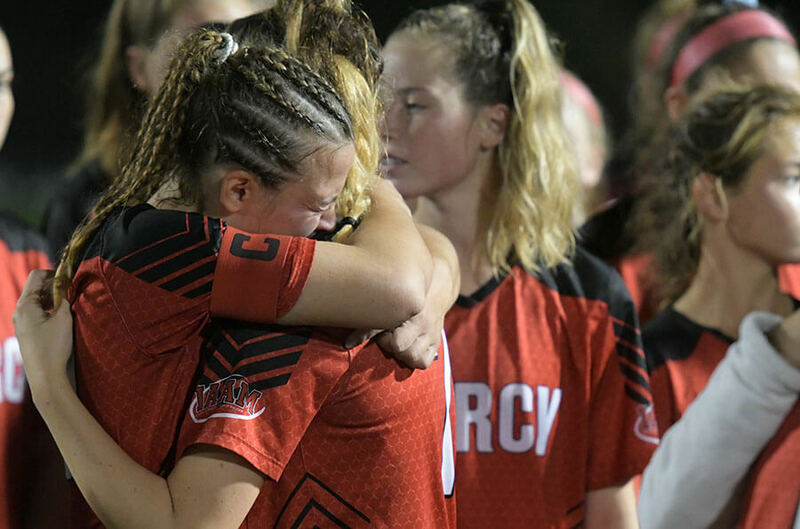 Mercy, which entered the playoffs with a five-game losing streak, went nearly 240 minutes of regulation in the postseason without surrendering a goal. Goalie Kathleen Rogers repeatedly made big saves against McDonogh, which had a premature celebration stopped when Magic defender Mia Ramirez made a clear off the goal line early in the second half. “I couldn’t be more proud of these kids and this school,” said Doug Pryor, the Mercy coach. “It hurts right now, (but) deep down inside I am so happy for our program. The effort was great. We played three games in six days and a double overtime game against Spalding. The effort was just priceless. 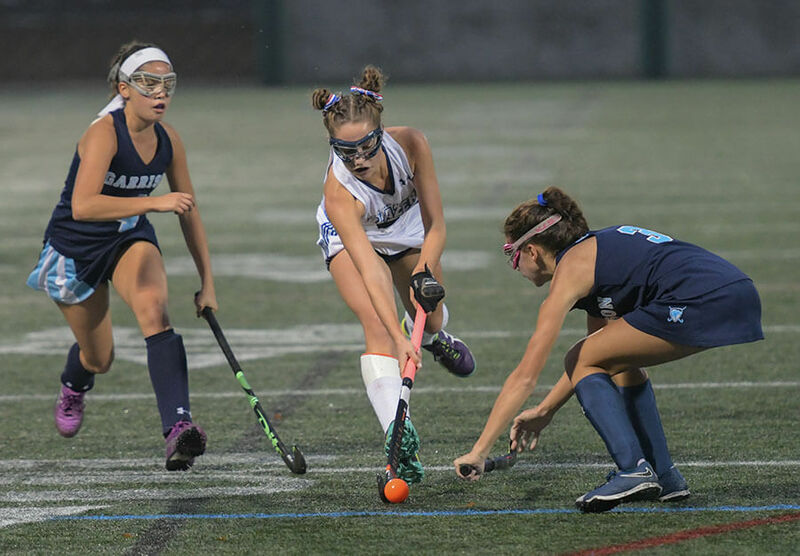 The field hockey team from Maryvale Preparatory School reached the IAAM B Conference final Nov. 5 at Stevenson, where it lost to St. Paul’s School for Girls, 3-0. Kevin Parks contributed to this article.